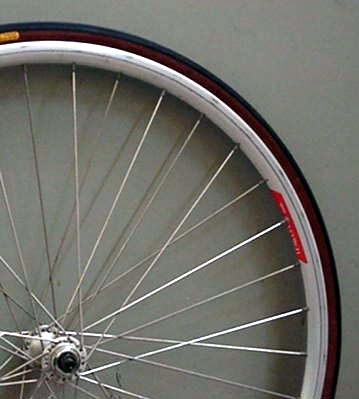 big picture 137. 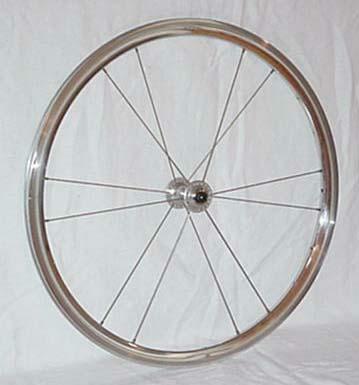 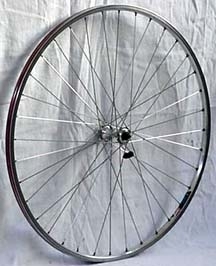 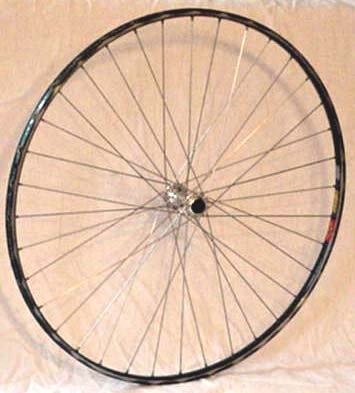 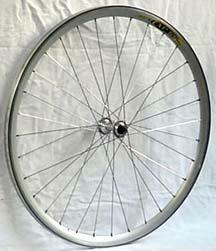 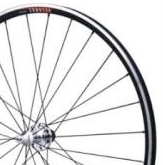 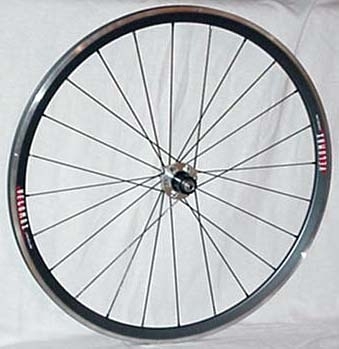 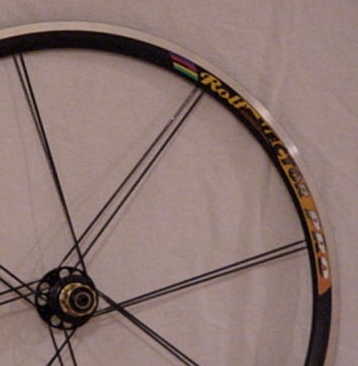 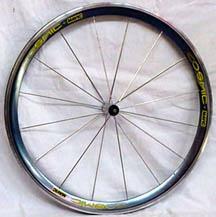 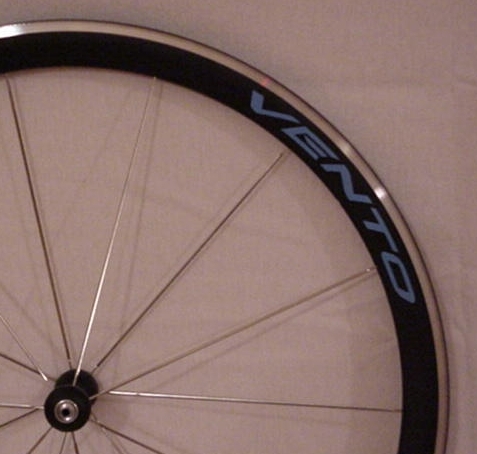 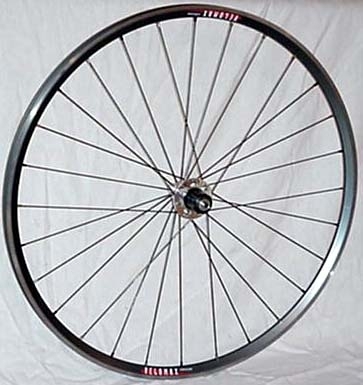 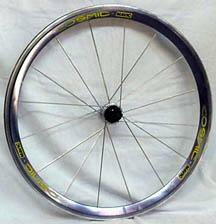 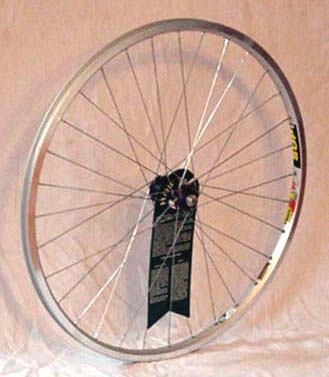 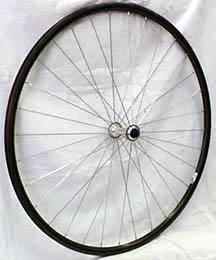 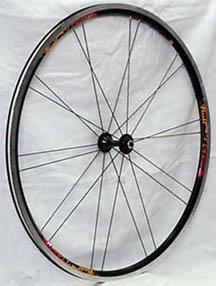 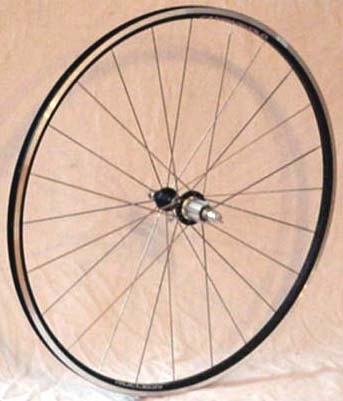 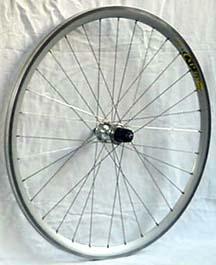 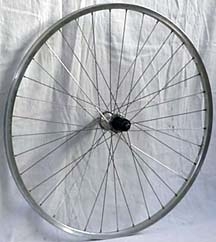 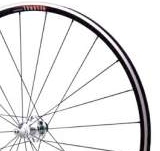 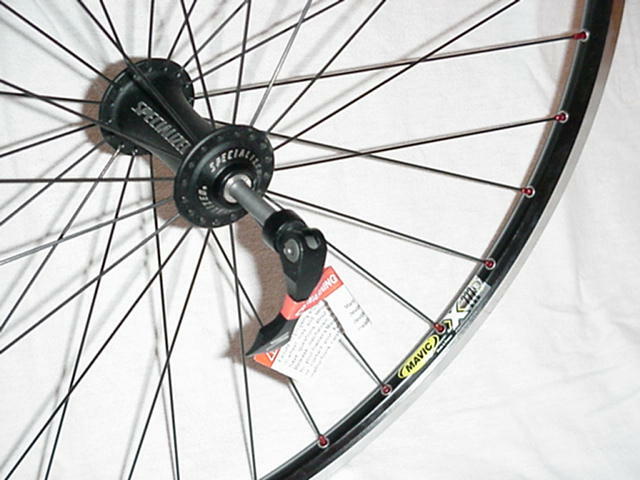 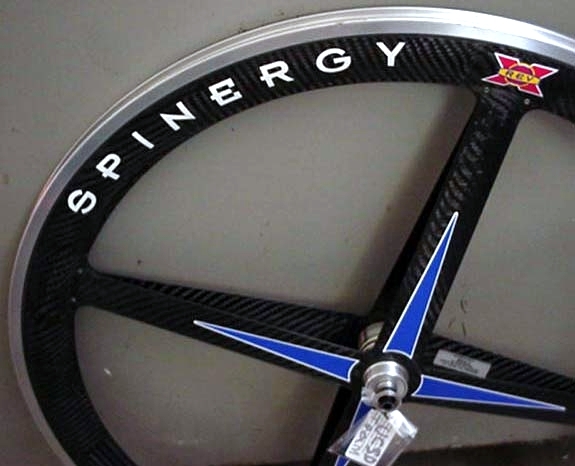 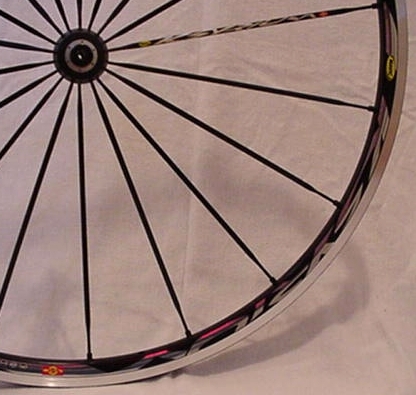 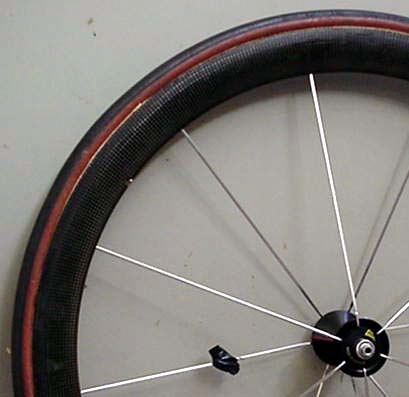 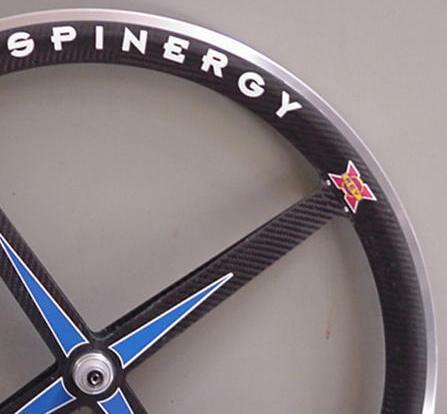 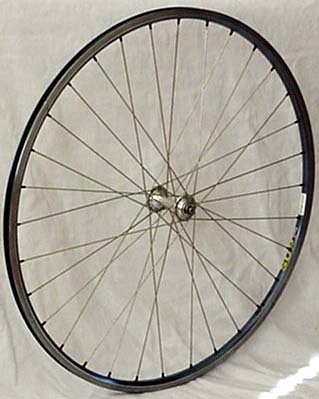 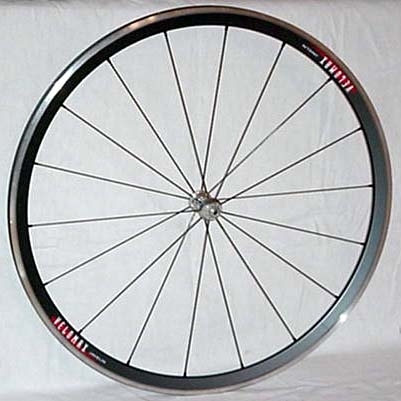 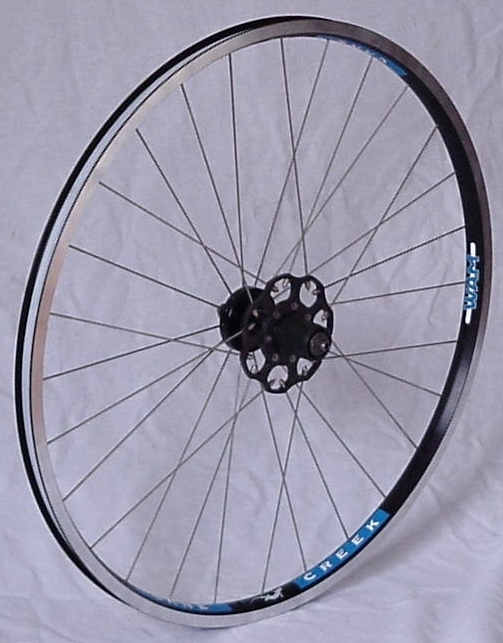 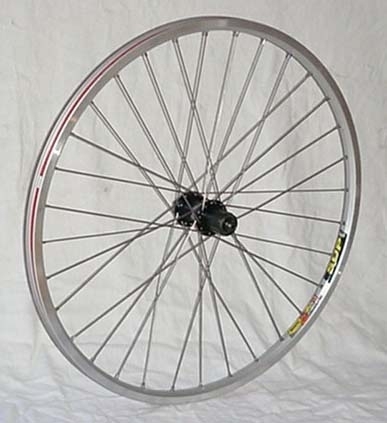 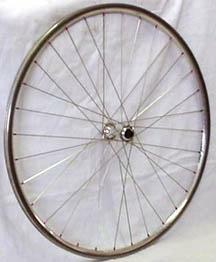 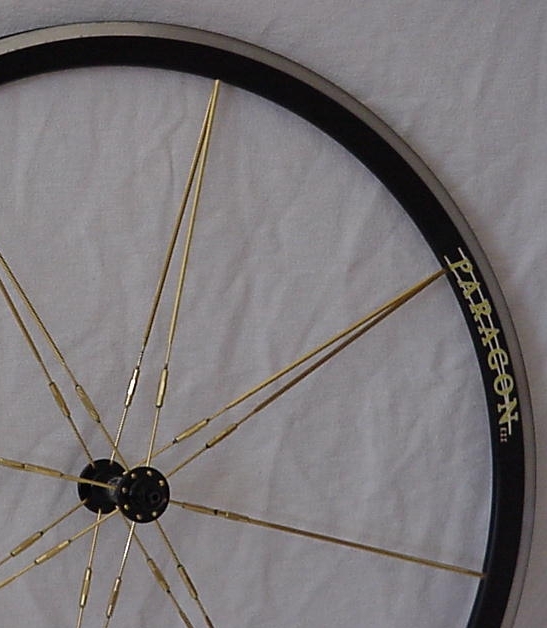 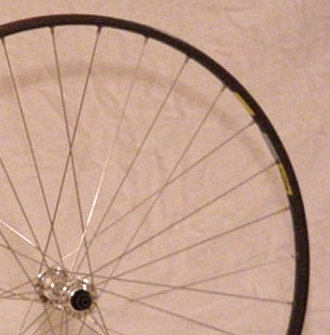 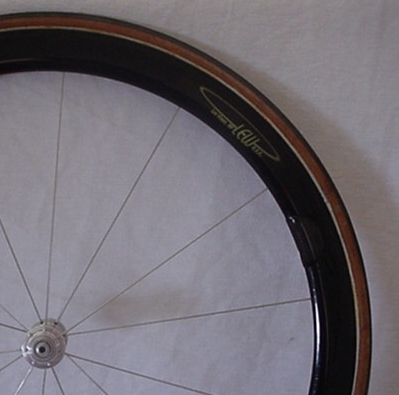 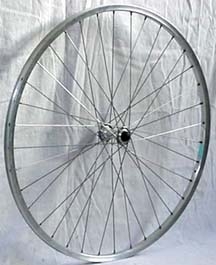 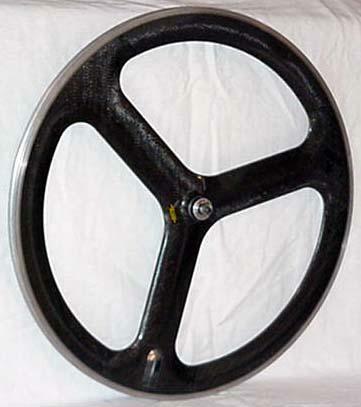 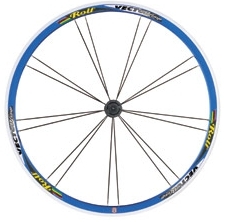 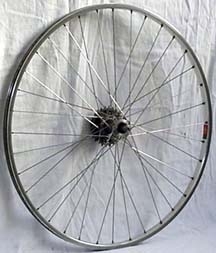 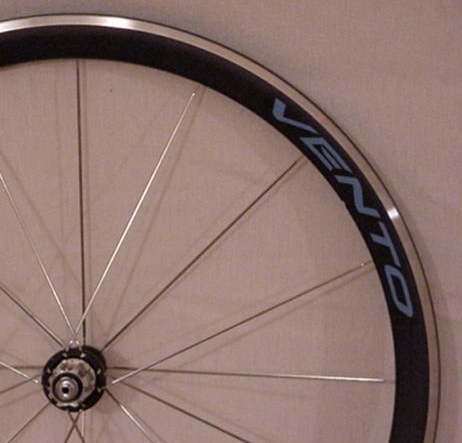 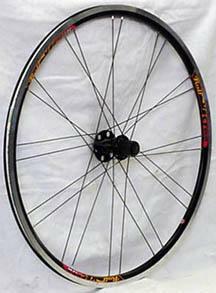 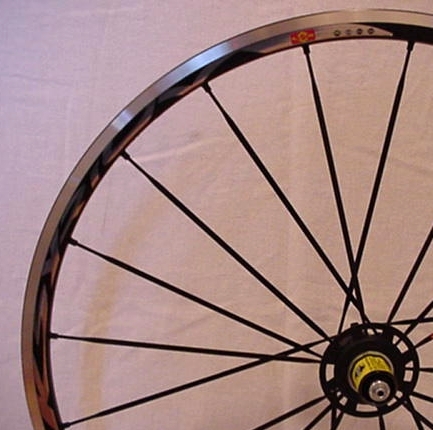 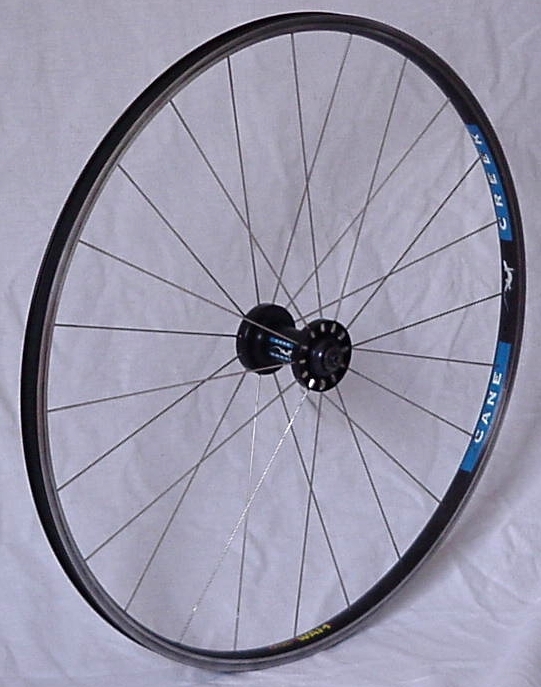 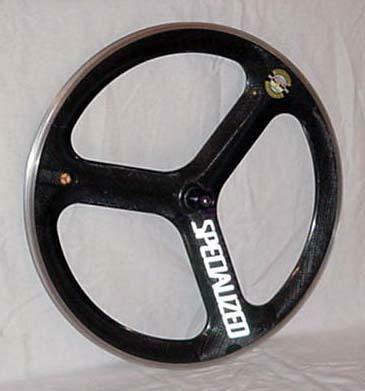 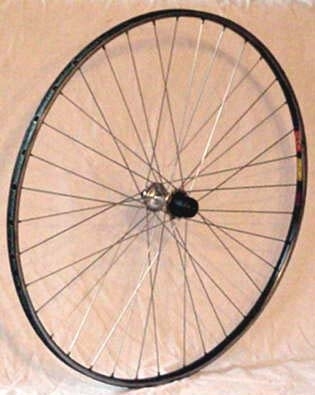 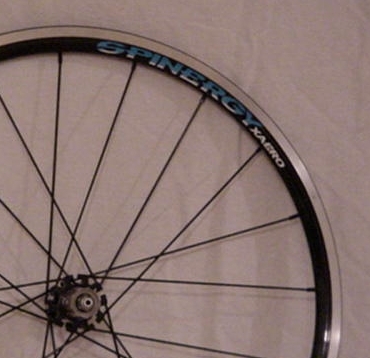 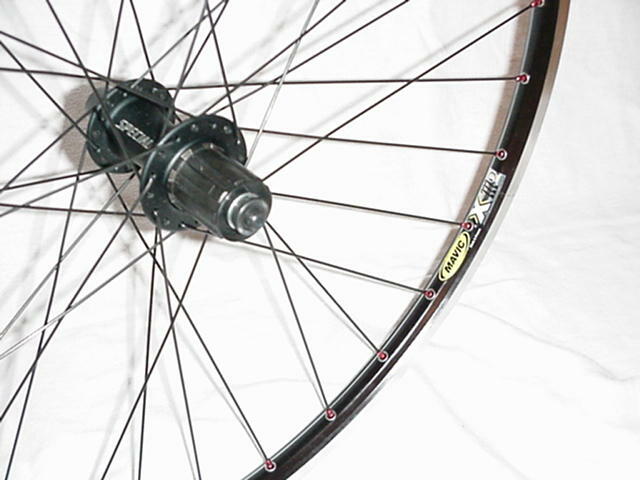 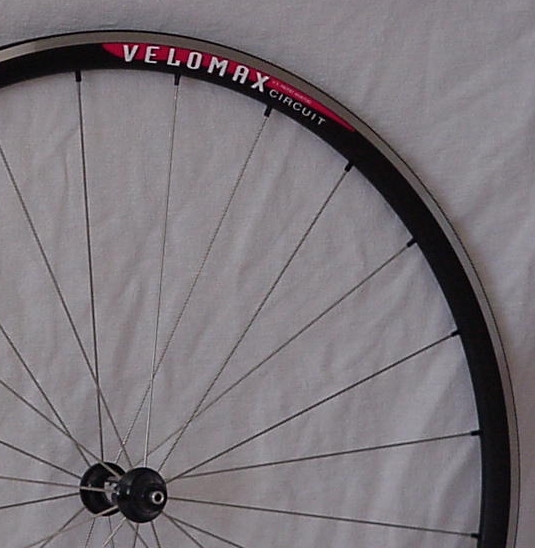 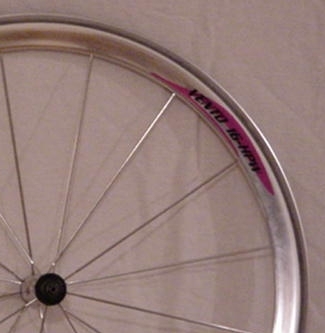 Paragon 16 spoke front. 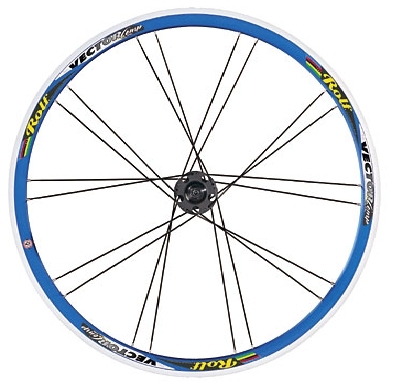 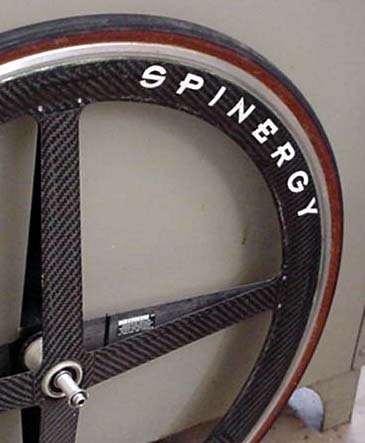 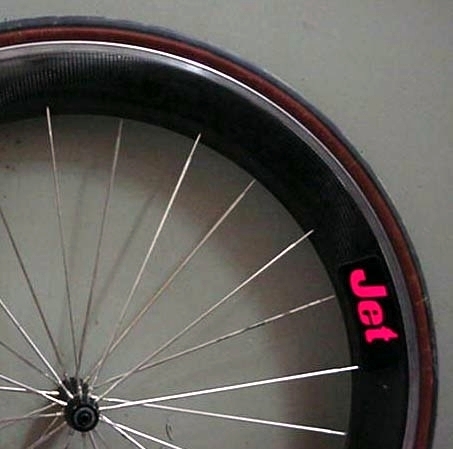 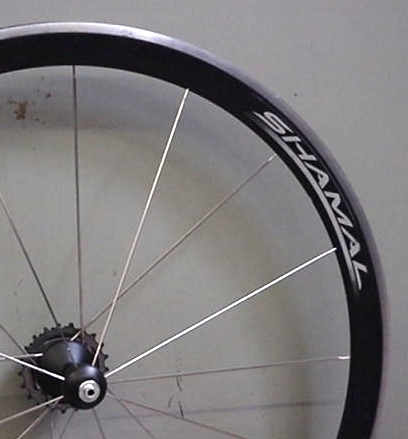 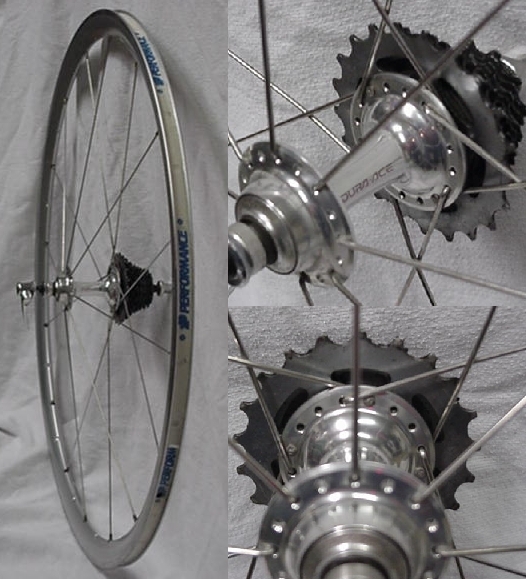 Built radially in pairs using a Velocity Deep V rim and Wheelsmith 2.3mm spokes with 1.4x3.5mm aero section on an American Classic Micro hub. 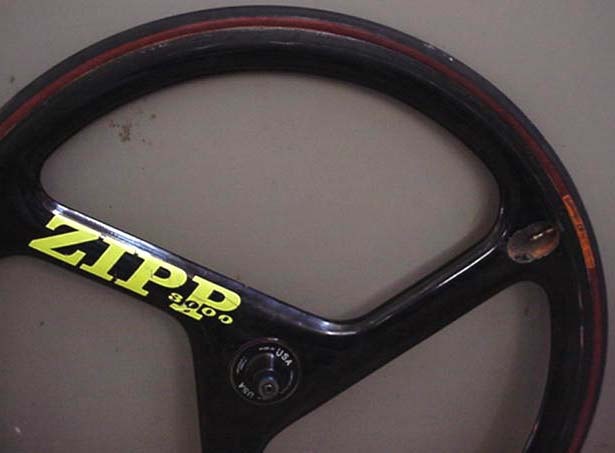 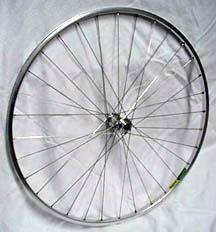 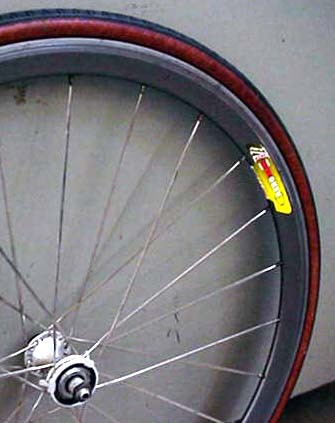 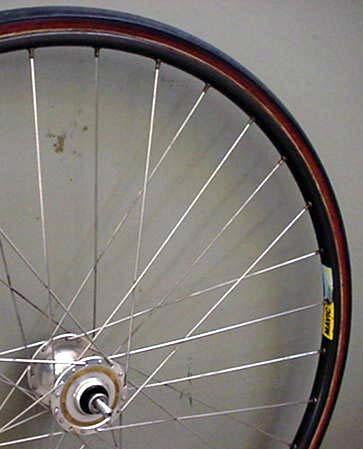 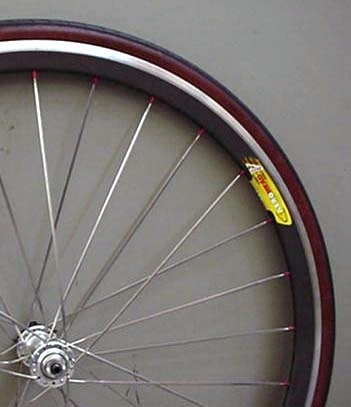 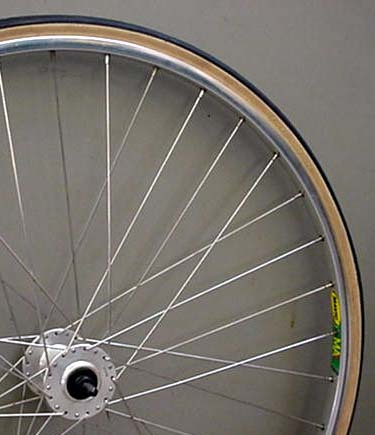 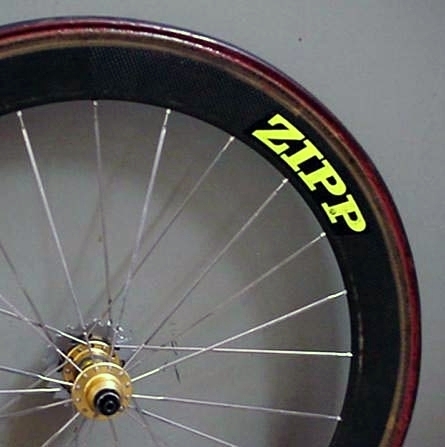 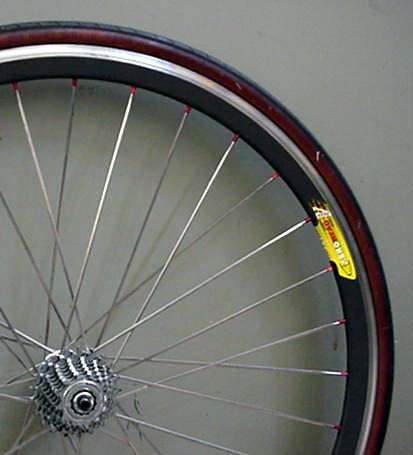 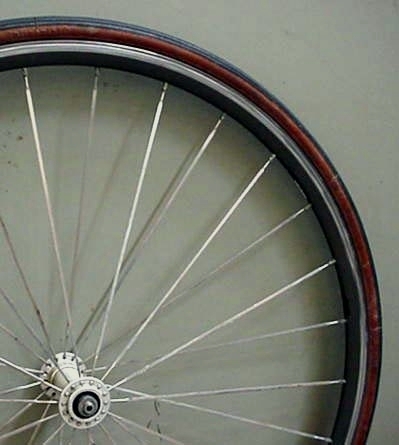 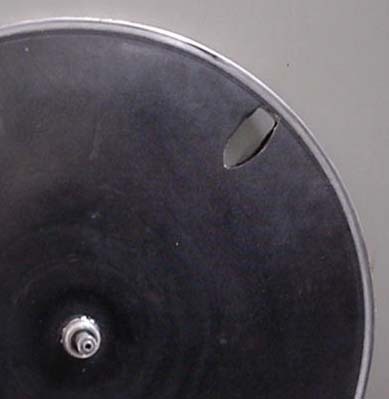 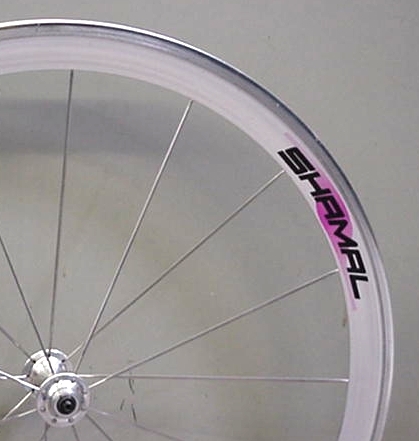 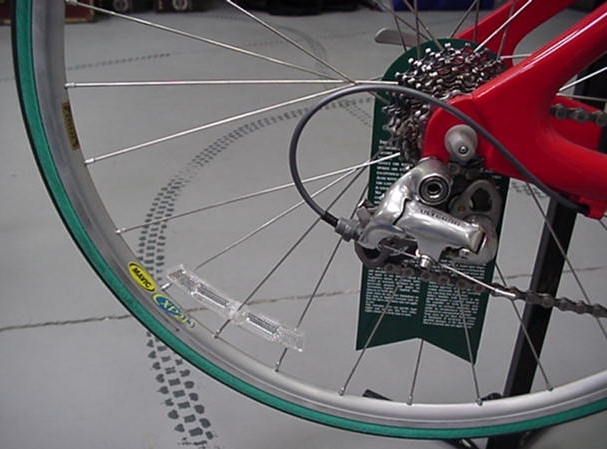 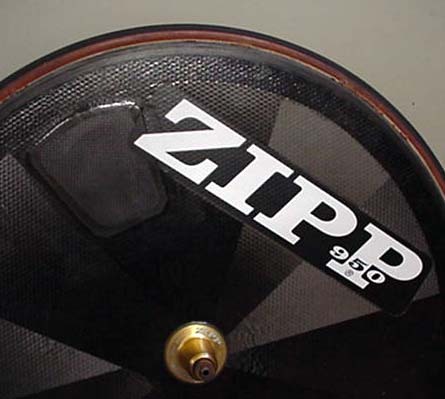 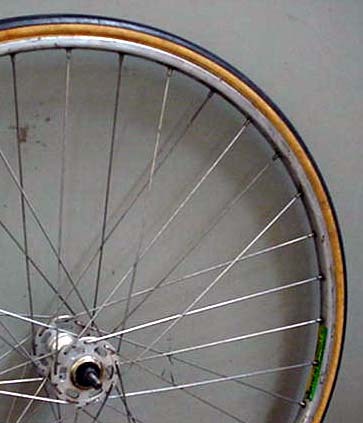 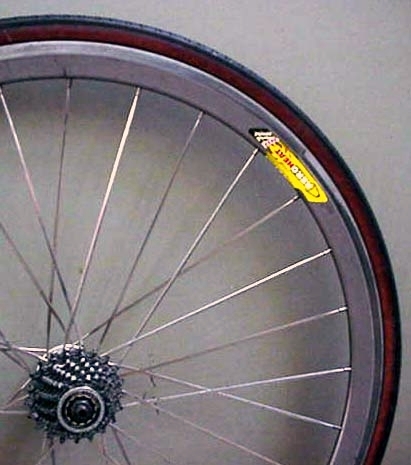 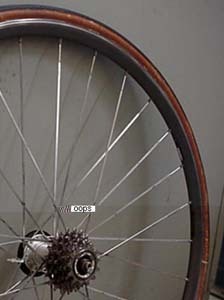 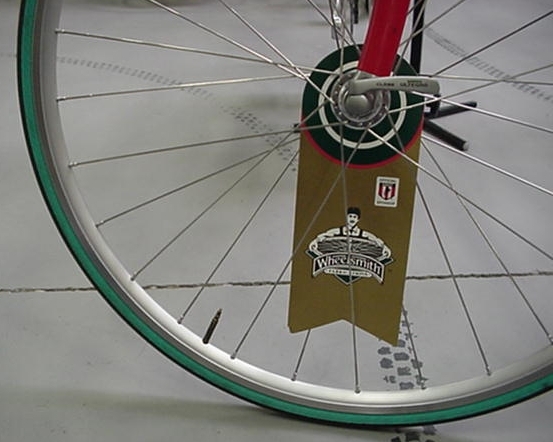 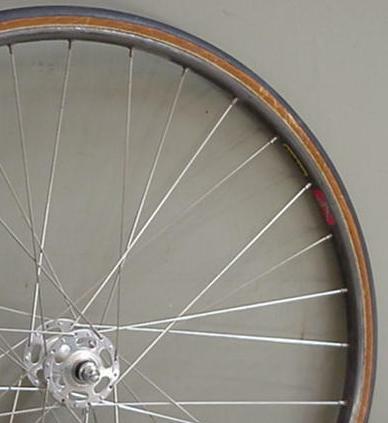 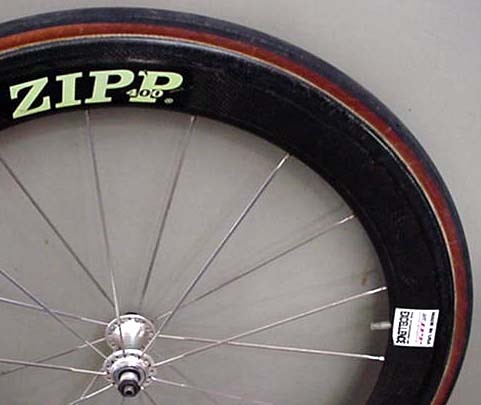 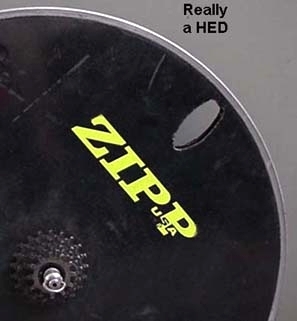 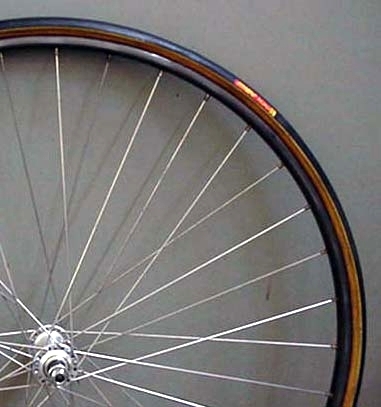 Spokes anchored in rim saddle. 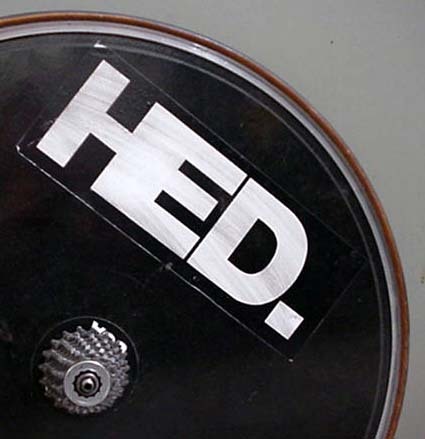 Thanks to Chuck Davis. 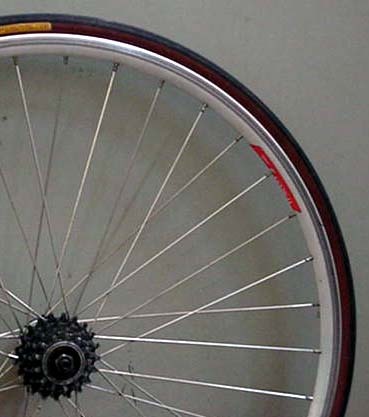 big picture 138. 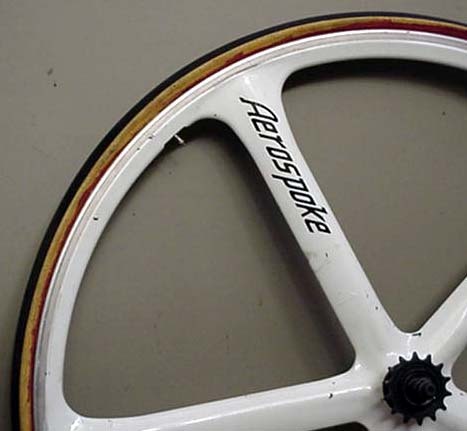 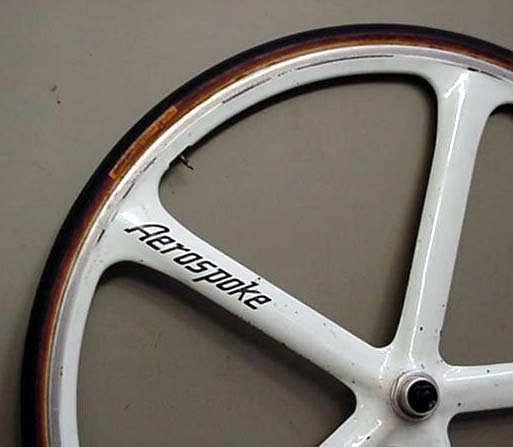 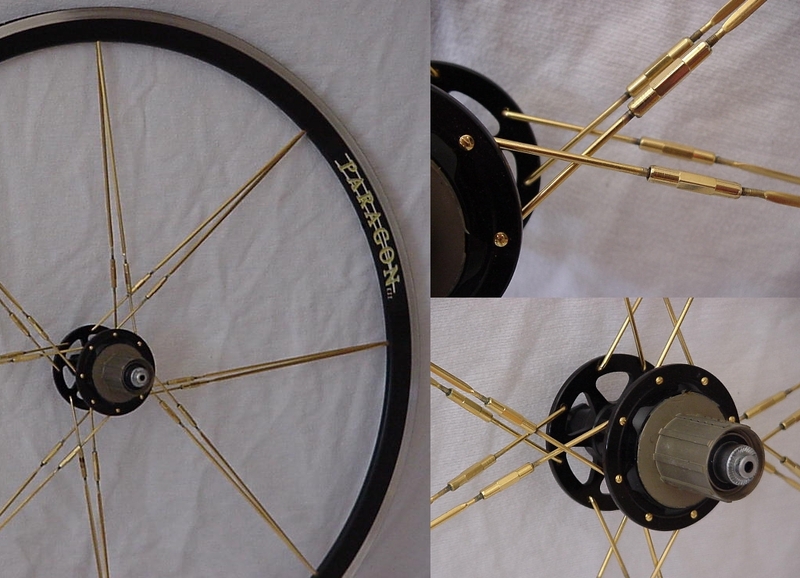 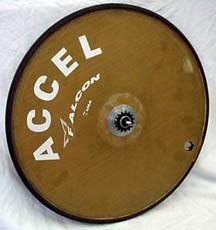 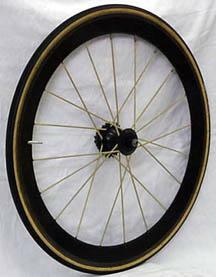 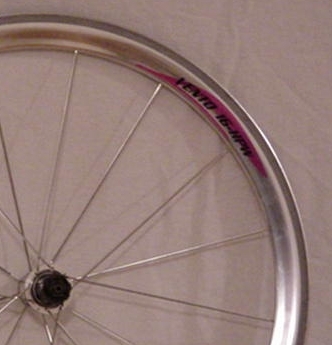 Paragon 16 spoke rear. 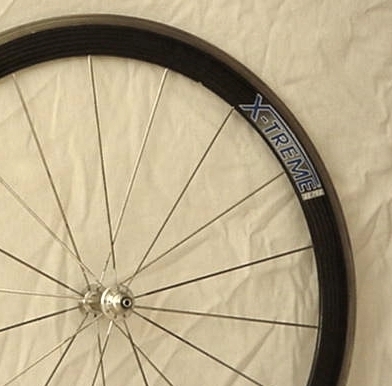 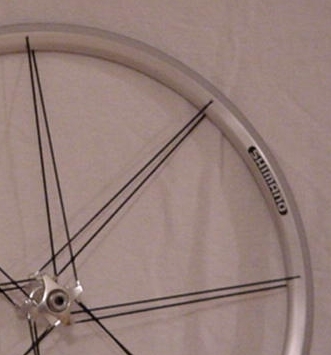 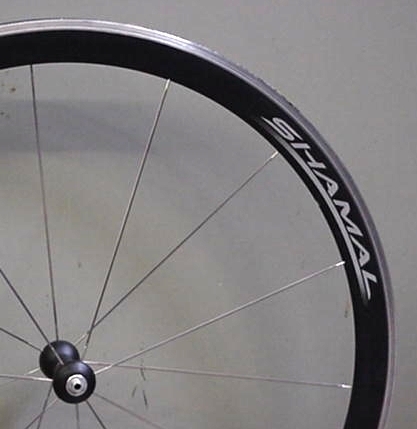 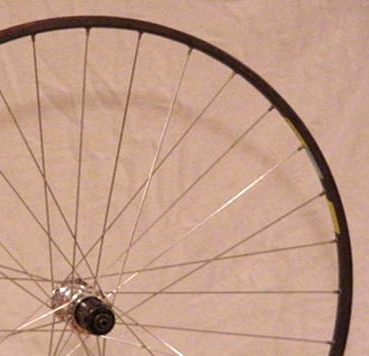 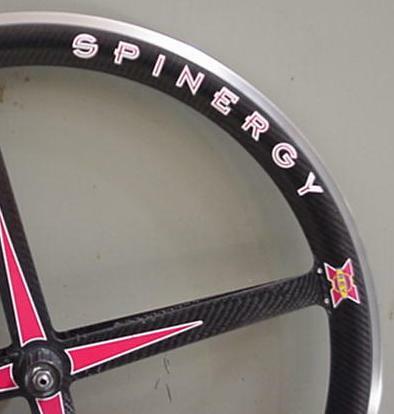 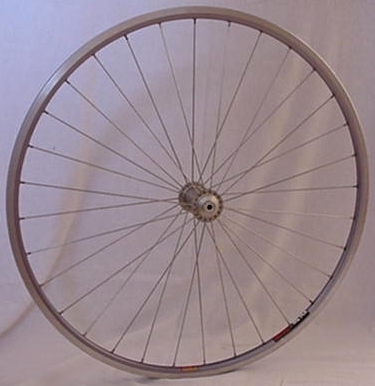 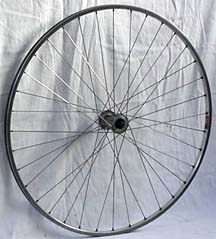 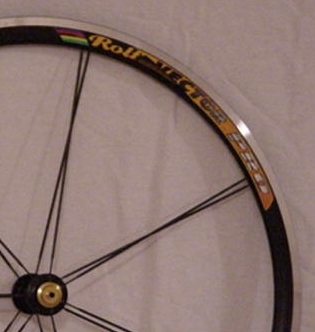 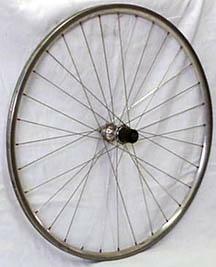 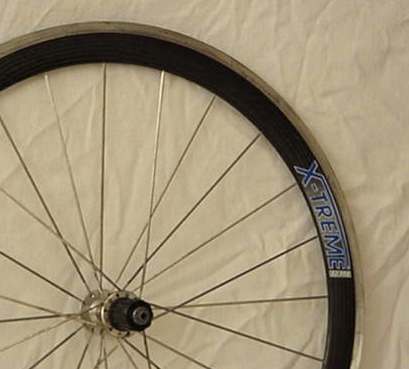 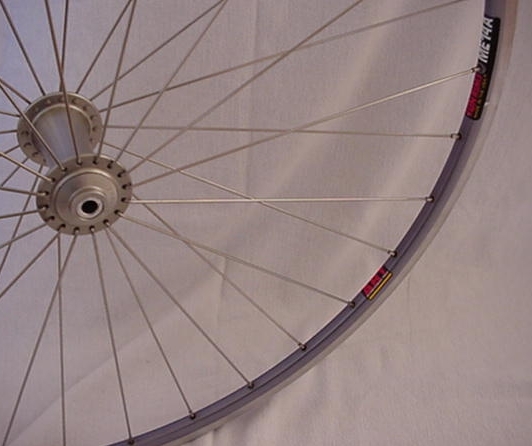 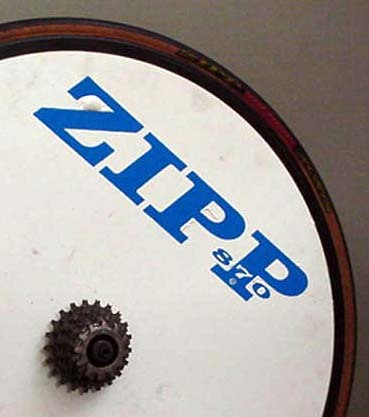 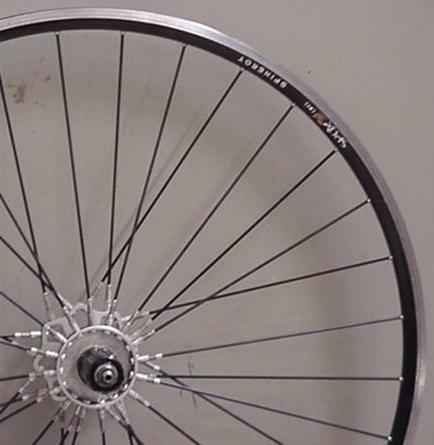 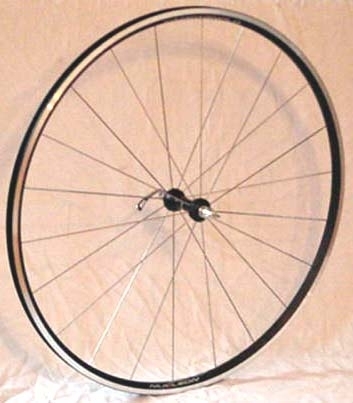 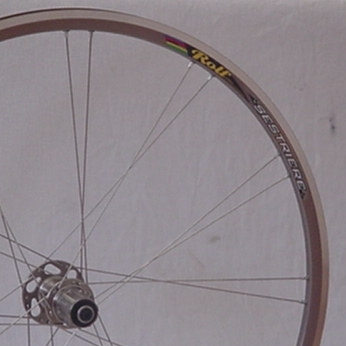 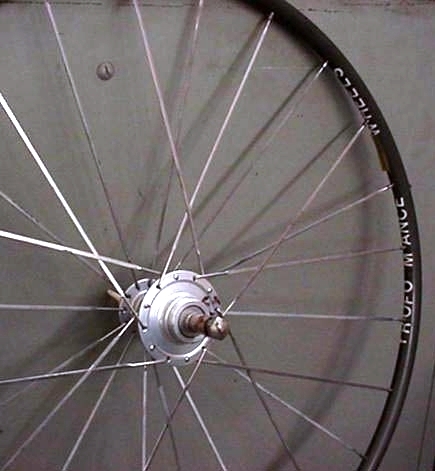 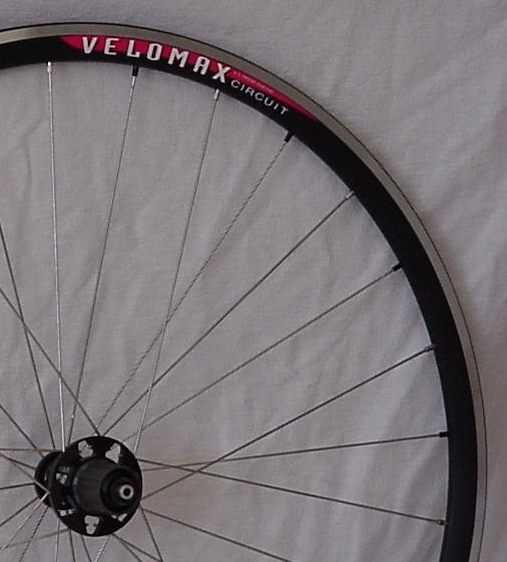 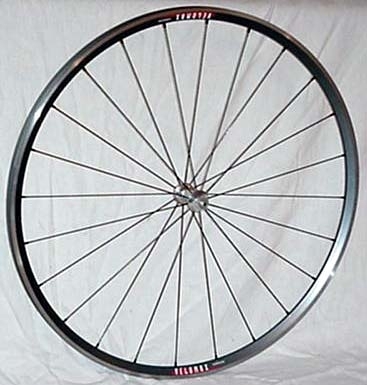 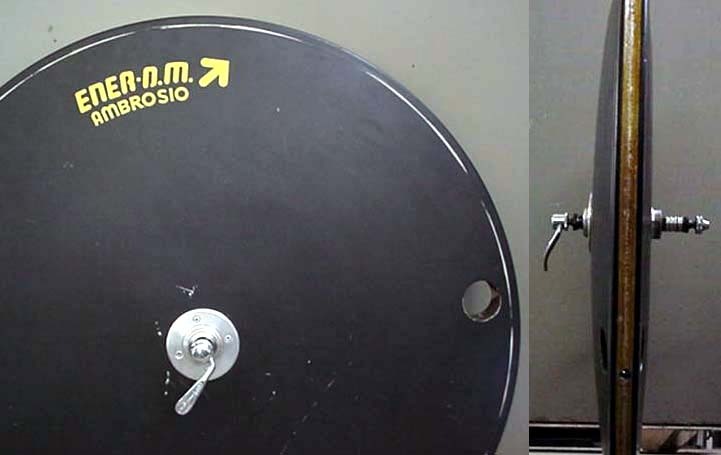 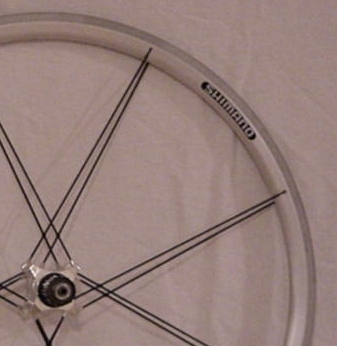 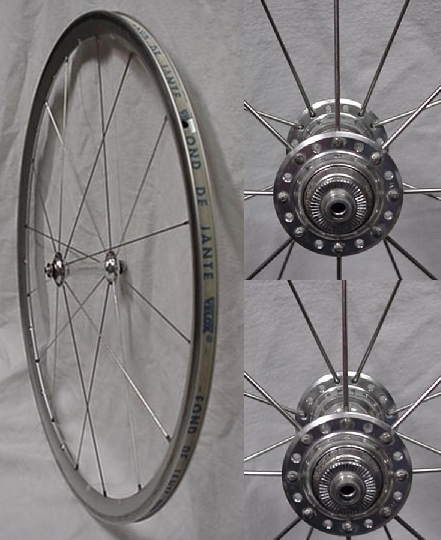 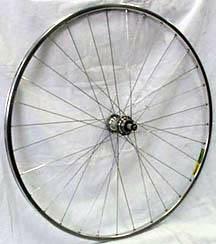 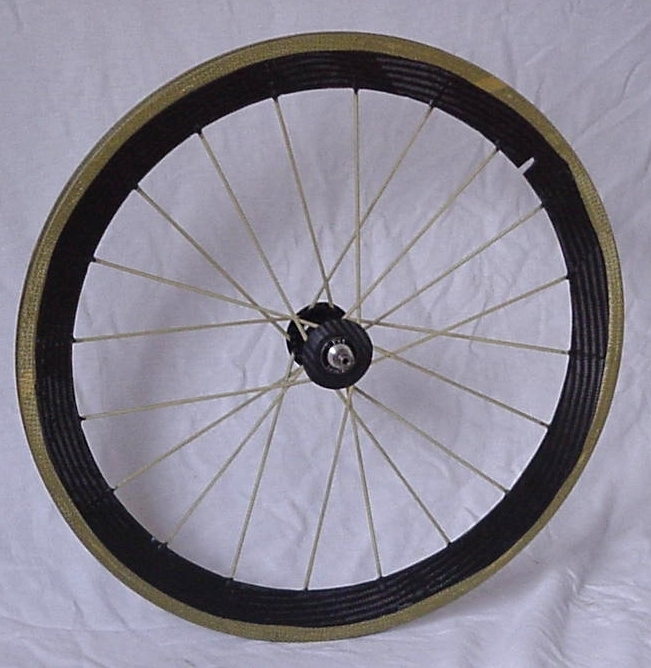 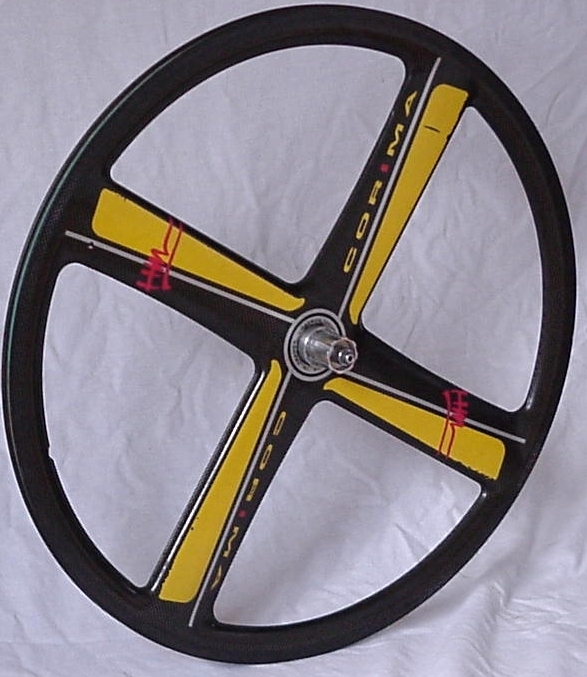 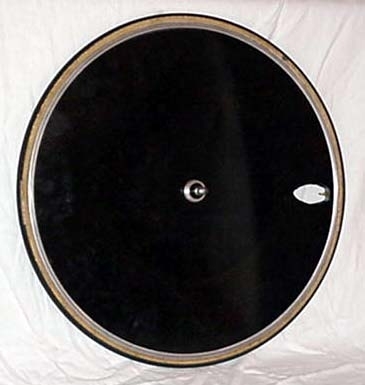 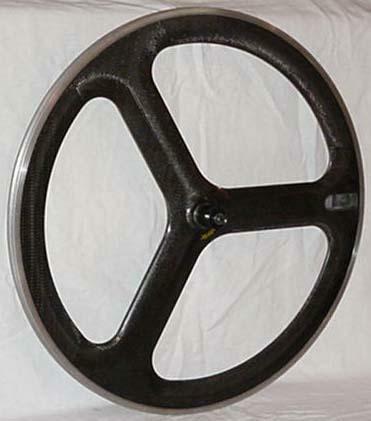 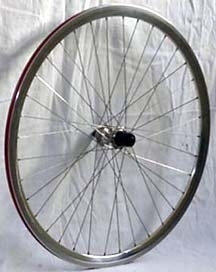 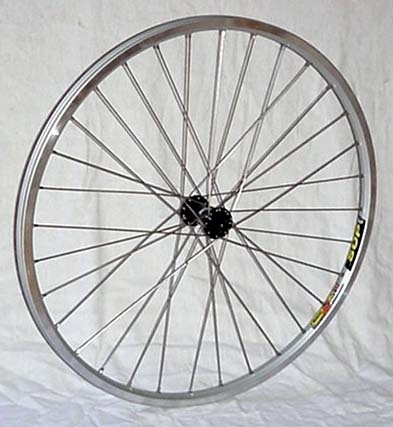 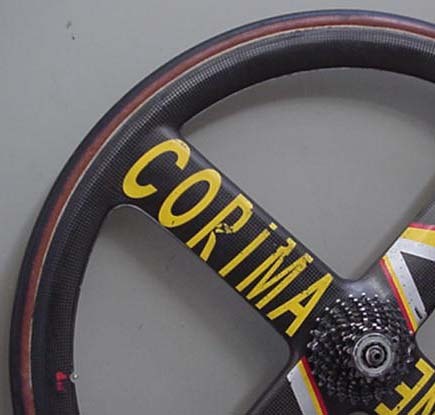 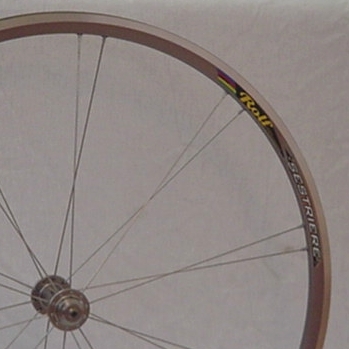 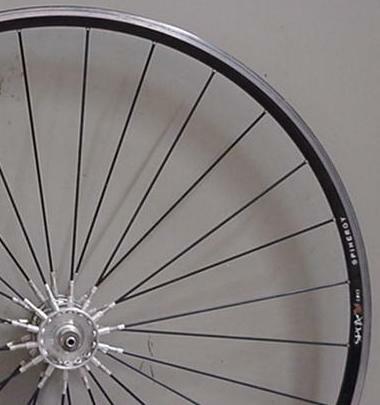 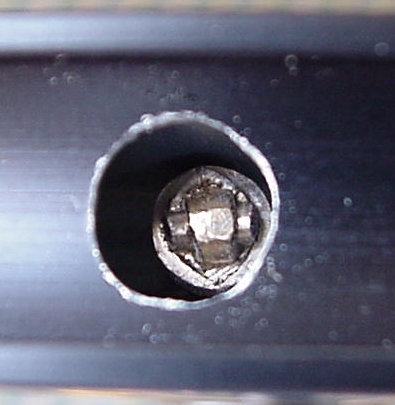 Built 1 cross in pairs using a Velocity Deep V rim and Wheelsmith 2.3mm spokes with 1.4x3.5mm aero section on an American Classic Ultralight cassette hub. 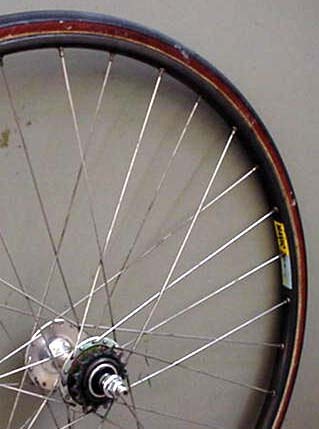 Spokes anchored in rim saddle. 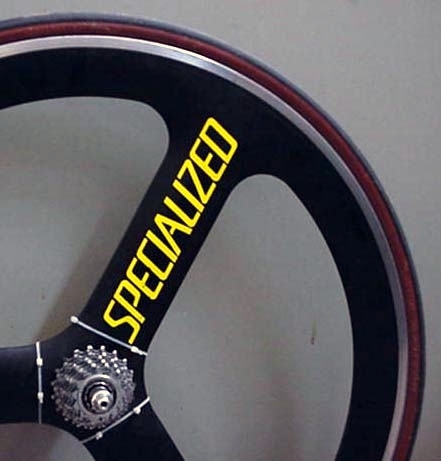 Thanks to Chuck Davis.